The notice published in the Federal Register said the area extends around 20 miles (32 kilometers) west of the Santa Teresa Port of Entry. “There is presently a need to construct physical barriers and roads in the vicinity of the border of the United States to deter illegal crossings in the project area,” Homeland Security Secretary Kirstjen Nielsen said in the notice. The targeted area is part of the U.S. Border Patrol’s El Paso Sector that federal officials say remains an active route for human smuggling and drug trafficking. In 2016, officials said the Border Patrol in the sector arrested more than 25,000 immigrants suspected of trying to enter the country illegally and seized around 67,000 pounds of marijuana. Santa Teresa, New Mexico — a booming industrial border town — is west of El Paso, Texas. 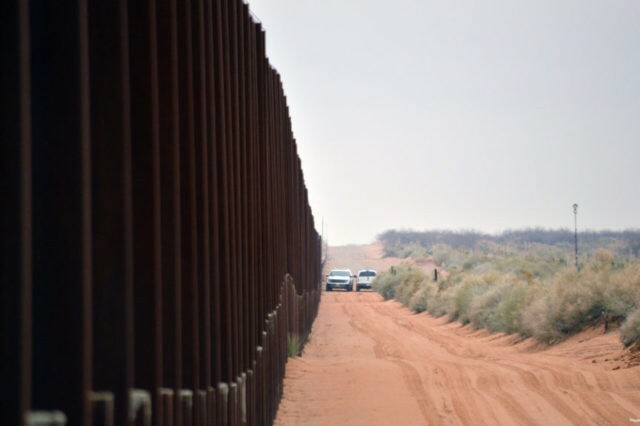 This marks the third time Homeland Security under President Donald Trump has used broad powers under a 2005 law to waive laws such as the National Environmental Policy Act and Endangered Species Act for the border barriers. In September, it waived reviews for a 3-mile stretch in Calexico, California. President George W. Bush’s administration issued the previous five waivers in 2008. But critics said the waivers are an overreach and a threat to the environment. Brian Segee, a senior attorney with the Center for Biological Diversity, said federal authorities are waiving more than 30 environmental laws to speed construction of the proposal area around Santa Teresa, New Mexico. The Center for Biological Diversity said it is considering whether to challenge the waiver in court. The administration has insisted new wall funding be part of any pending immigration reform deal, but President Donald Trump has been unclear about how long the wall would be and how it should be designed. The administration has asked for $1.6 billion this year to build or replace 74 miles (118 kilometers) of barriers in Texas’ Rio Grande Valley and San Diego and plans to request another $1.6 billion next year. Associated Press writer Elliot Spagat in San Diego, California, contributed to this report.